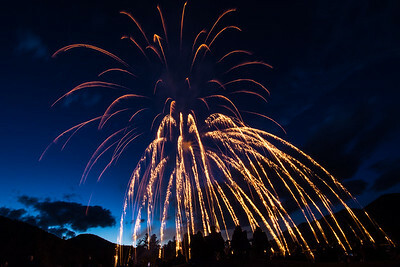 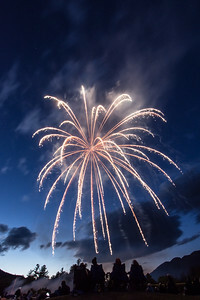 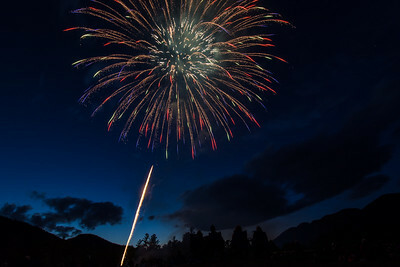 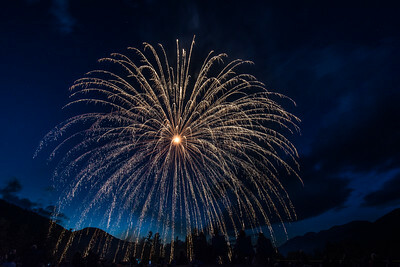 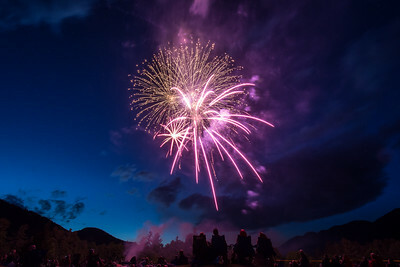 The 4th of July fireworks show at the Ausable Club in St. Huberts, NY is one of the most unique shows in the Adirondacks. 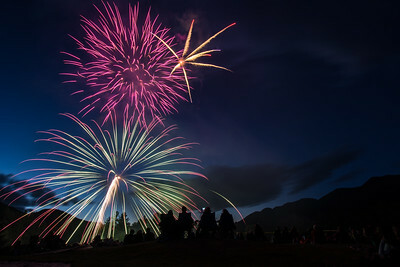 Sitting at the top of a hill on a small golf course the fireworks go off almost directly in front of you. 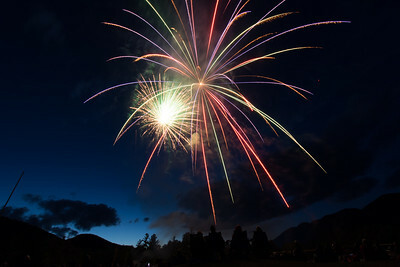 Surrounded by mountains the echo of the fireworks creates a unique acoustic experience.